This month's feature is Sugarpoultry Cosplay. 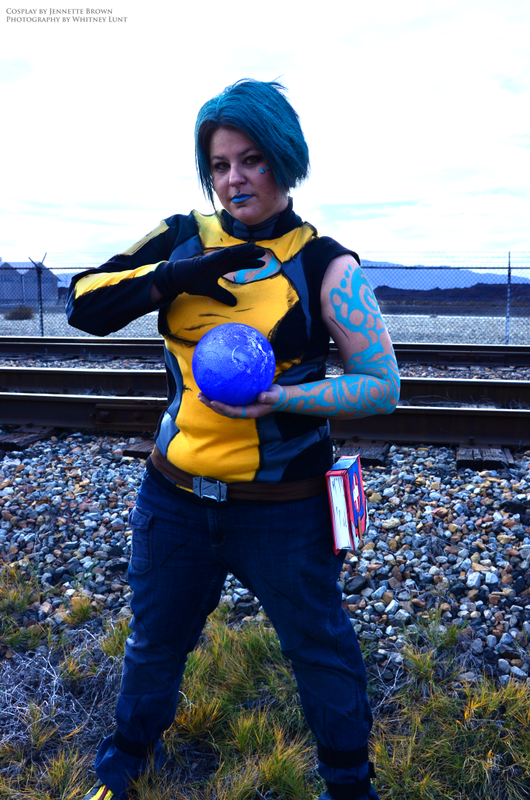 This creative girl has only been cosplaying since March of 2012 and she has quite the knack for making fun cosplays. I love her attention to detail and creative way of making new things. I initially met Sugarpoultry on Deviantart. She had a very interesting tutorial on making a shield from The Legend of Zelda: Skyward Sword. 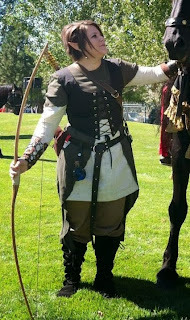 I met her in person at a video game convention and have been impressed with her fun personality and sewing skills. Sugarpoultry has some very good tips and hints for creating cosplay at the thrift store. 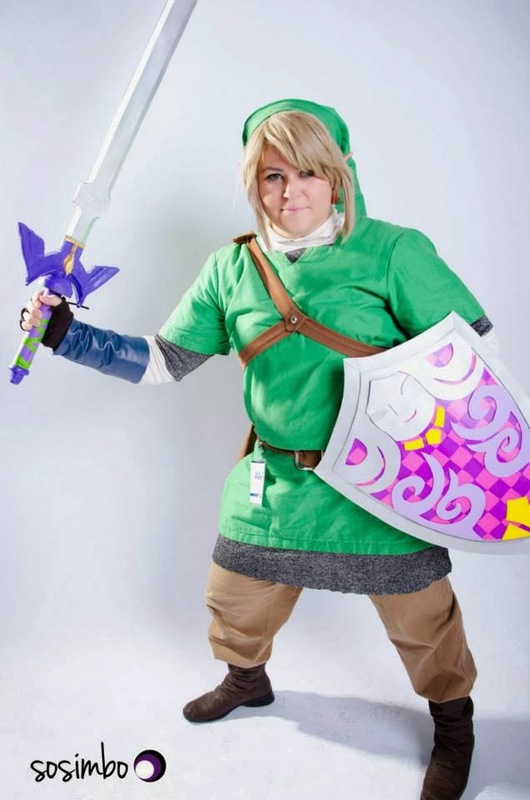 Why do you cosplay? Who or what got you into it? I was always impressed by the amazing outfits I would see people wear at the yearly conventions, namely Comic Con. I was especially inspired by the cosplayer Pikminlink and her portrayal of the Legend of Zelda characters, especially Link. It was her that made me want to try it one day. I finally decided to go for it and do my own Link after playing the game Skyward Sword. After meeting lots of people at anime Banzai who liked and appreciated my cosplay, I felt motivated to keep trying. I met Chris Blair, a fellow Link cosplayer, who also motivated me to continue. Haha I get asked that a lot. Well, in middle school I was nicknamed Sugar by my friends. I don't remember why, but it stuck for a while until I made it into high school. My maiden name is Poulton, and some of my friends thought it sounded like Poultry, so they dubbed me that for pretty much the rest of my life haha. They still, to this day, call me Poultry. Well, back then when email became popular in high school, I needed to find a good nickname that would stick online. Sugar was taken, Poultry was taken, so I decided to just fuse them together. "The outer cloak/cape is a dress I got from DI. What are the pros of thrift store cosplay? Pros would be, depending on the outfit you're putting together, there is usually something at a thrift store that matches JUST close enough, or enough that I could modify it without starting from square one. It's also a great place to cut up patterns. I would go and find a cheap shirt, make sure it fit me the way I wanted, measure and mark it, then cut it up to lay across my final fabrics. It's my alternative for not having a sewing Mannequin to use. Plus, the price is usually right. So if you end up screwing up on something, or making a ton of changes to it, you aren't out a lot of money. Its tough to find something in your size. Each item is unique, and if it doesn't fit you, but its perfect for your outfit, its very disappointing. Especially shoes. Clothing you can usually get away with it, if you know how to tailor. Last question, your favorite cosplay moment? 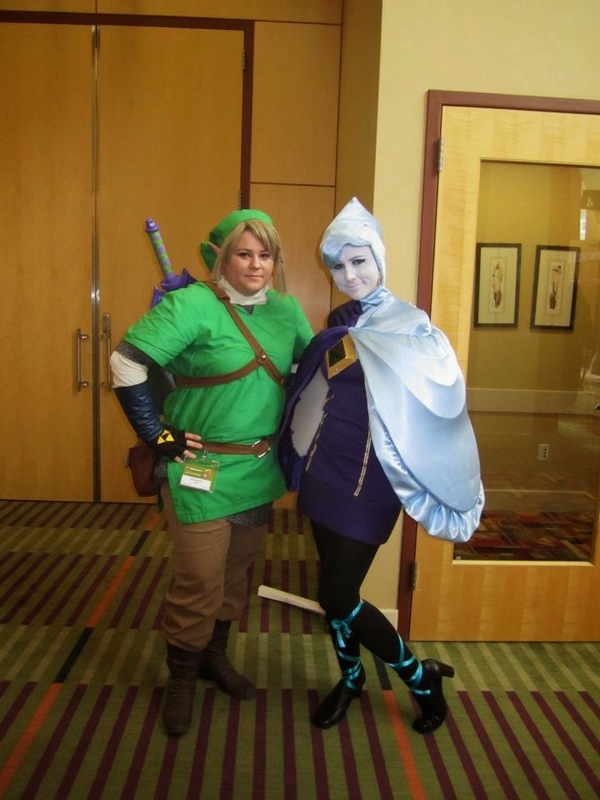 Oh wow.... um... there's a lot of good ones, but I guess it would have to be when I first met Savannah when she was cosplaying Fi and I was Link. It was like, YAY, my other half! Once we were standing together SO many people crowded us to take pictures of us. It was really cool. Awww I got mentioned! I was so happy to meet you too! You are such a sweet girl and awesome cosplayer. Can't wait for our upcoming photoshoot! !